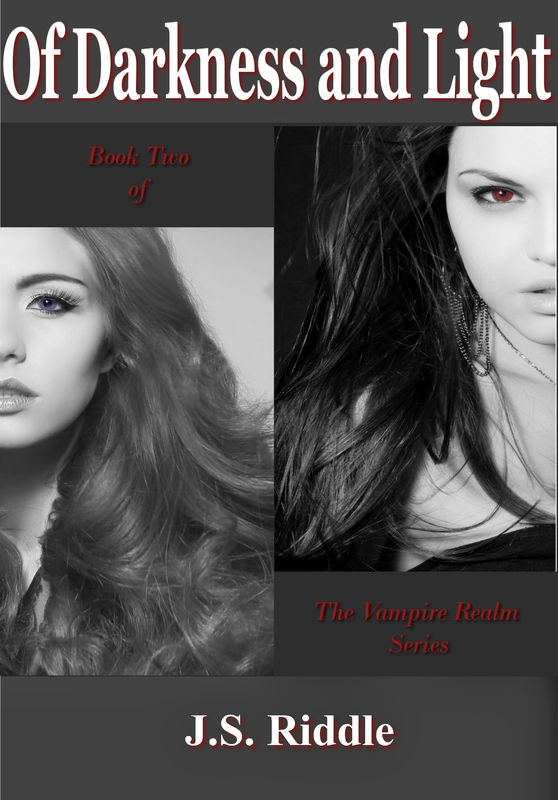 The wait is finally over, Book two of the series The Vampire Realm: Of Darkness and Light is finally live for purchase on your e-reader. It has been a great road putting a hat on and becoming each of these characters and I can’t wait to finish the series with a bang!!! Of Darkness and Light is the follow up book to Rise of a Queen, part of The Vampire Realm series. Where Rise of a Queen tells the tale of Tessa’s struggles and defeats, the introduction of Tessa’s family brought forth a new tale to tell. Tessa’s vision of a future where vampires and humans lived united had all but disappeared. Her family, torn by the wars that ravaged her land, had to choose a side. Her sister and Emma with the rebels and Jason growing into his future by Tessa’s side. Emma’s struggle with her own choices, as Jason moves forward towards a life of service to his aunt, neither one sure of the outcome. The journey that the family takes will force the evolution of life as a vampire to the forefront, forever changing Tessa’s perspective on the world she thought she knew. Can Tessa survive another daunting war while ensuring the future of the vampires? Will Jason and Emma make the right choices and not be swayed by the childhood they once knew? Can either side of the war overcome what stands in their way, even when what they love is what they will lose? Or will there be a beacon of hope; shining brightly in the world that has fallen so dark….. I only sell my vampire books on amazon select. I wonder if your way is more successful. Good luck with the new book. That definitely makes sense about branching out because you were asked.